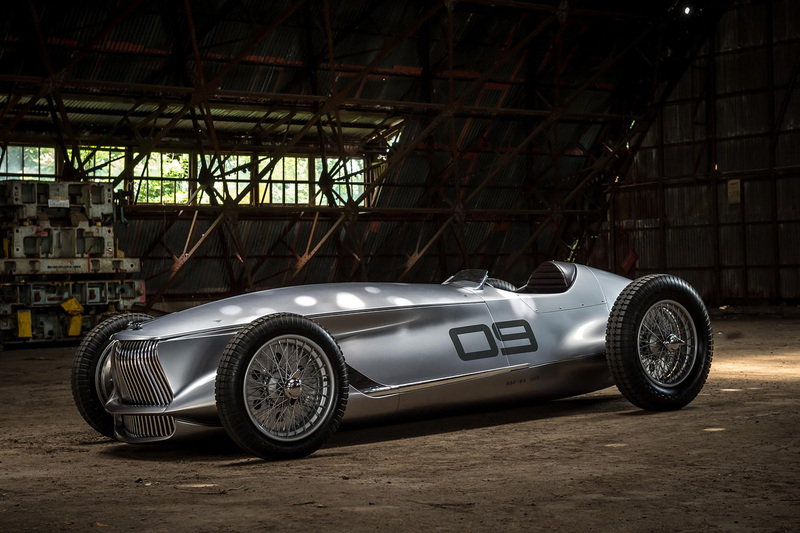 Nissan Motor Corporation and premium automotive brand INFINITI have unveiled a sleek, open-wheeled electric retro-roadster prototype at the 2017 Pebble Beach Concours d’Elegance. 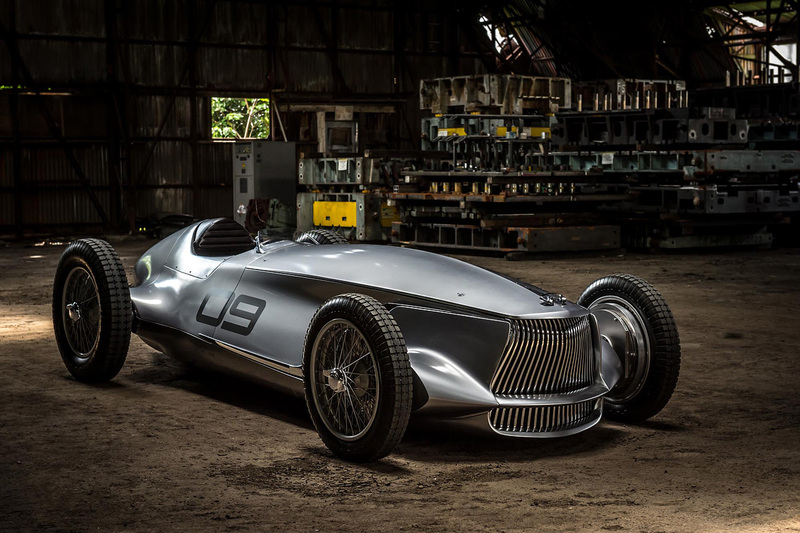 The car, called Prototype 9, is a celebration of Nissan Motor and INFINITI’s ingenuity, artistry and craftsmanship. 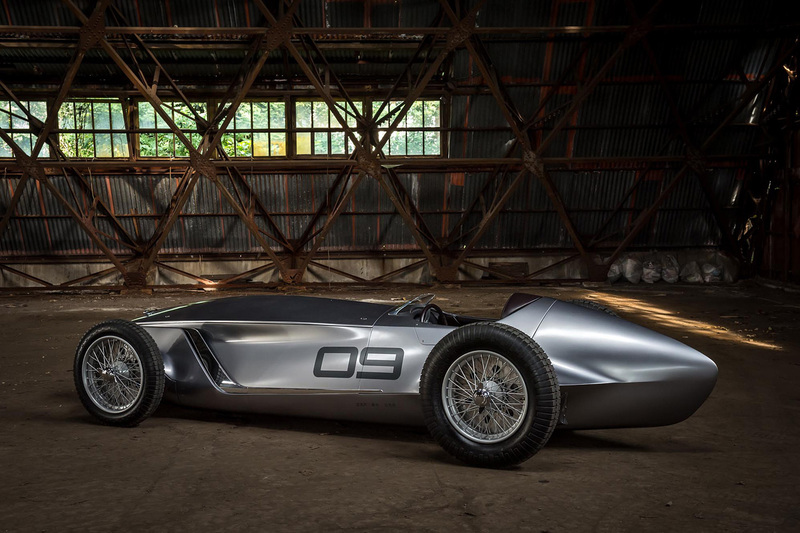 It represents a reimagining of a 1940s race car with time-honored production techniques employed to realize its retro design. 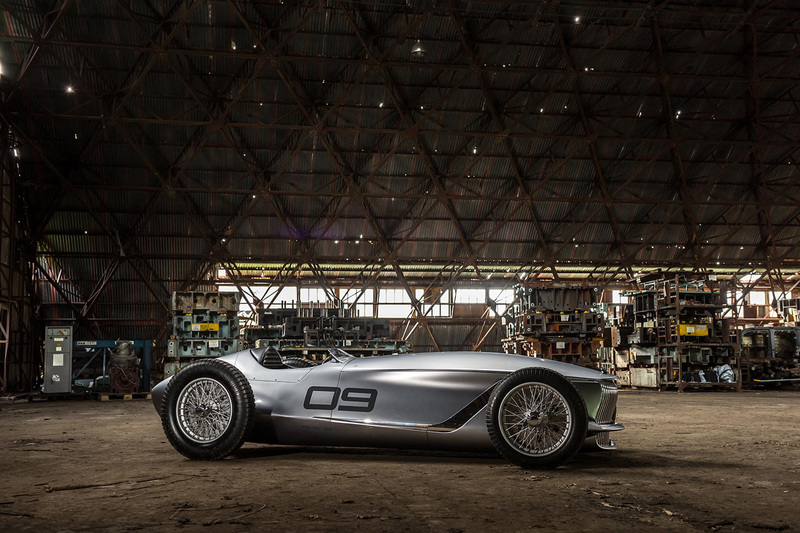 Prototype 9 is emblematic of INFINITI’s entrepreneurial spirit and passion for stunning design. 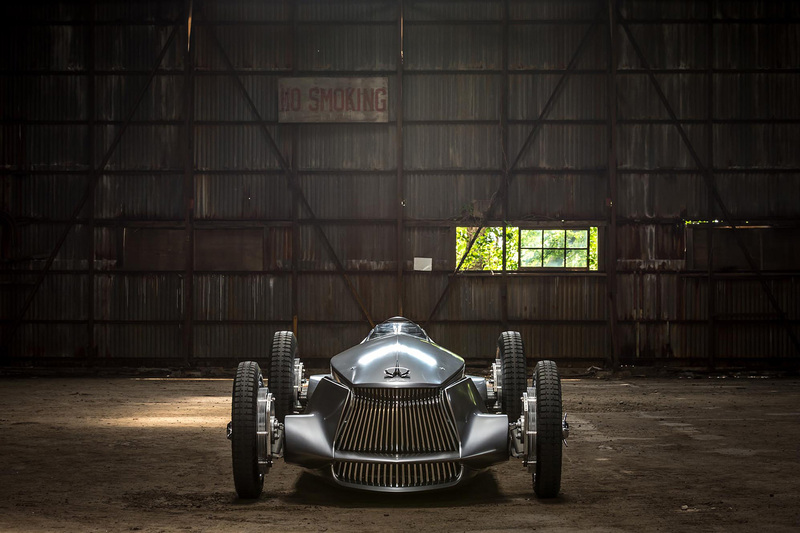 From humble beginnings as a sketch, to the dynamic example presented at Pebble Beach, Prototype 9 has been brought to life as an after-hours endeavor by a passionate and enterprising team of employees from across the Nissan Motor Corporation. The car is powered by a prototype electric motor and battery from Nissan Motor Corporation’s Advanced Powertrain Department. 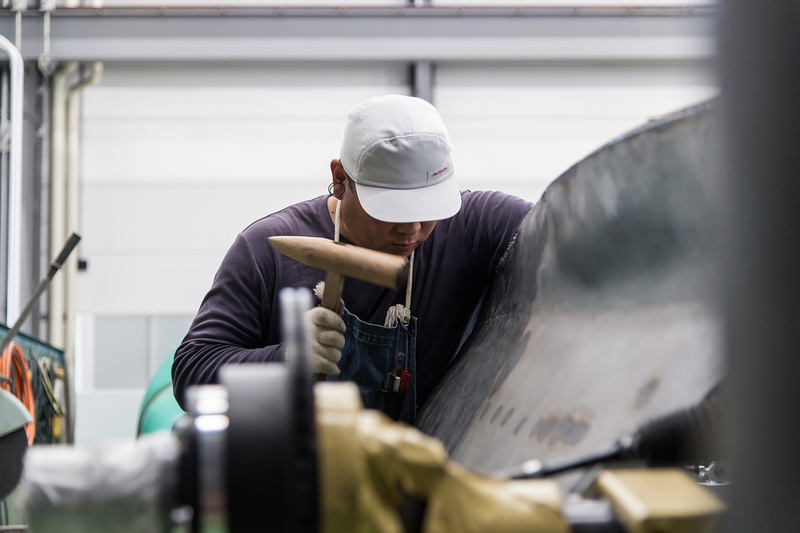 This nod to the future contrasts with the traditional materials and techniques applied for the Prototype 9’s manufacture, including panels hand-beaten by a team of Takumi – Nissan Motor’s master craftspeople. Prototype 9 was inspired by an emerging era of Japanese motorsport. 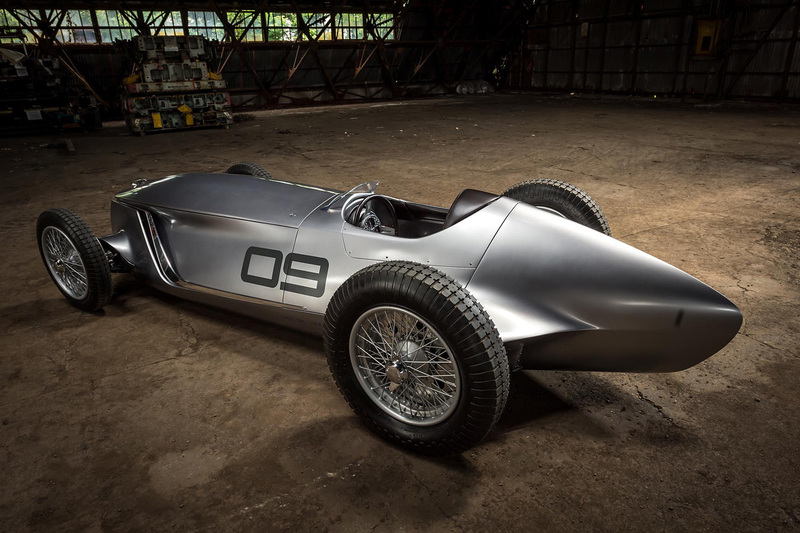 The custom-built Prince R380, which also will be shown during Monterey Car Week at The Quail, a Motorsports Gathering, broke several land speed records in 1965 before taking overall victory at the 1966 Japanese Grand Prix at Fuji Speedway. Prince Motor Company is considered to be Japan’s original builder of premium automobiles, and its legacy can be traced to INFINITI Motor Company and its current model line. 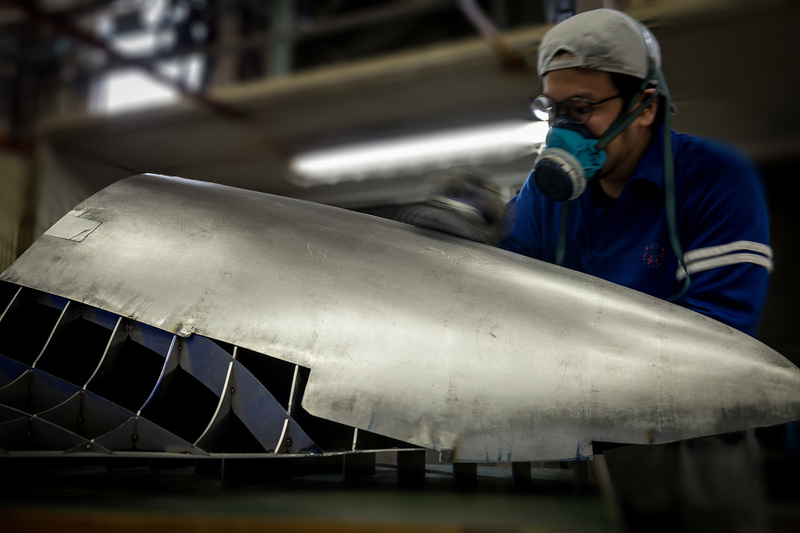 Finished in a bare sheet-metal skin, Prototype 9 is the result of countless hours of careful construction. 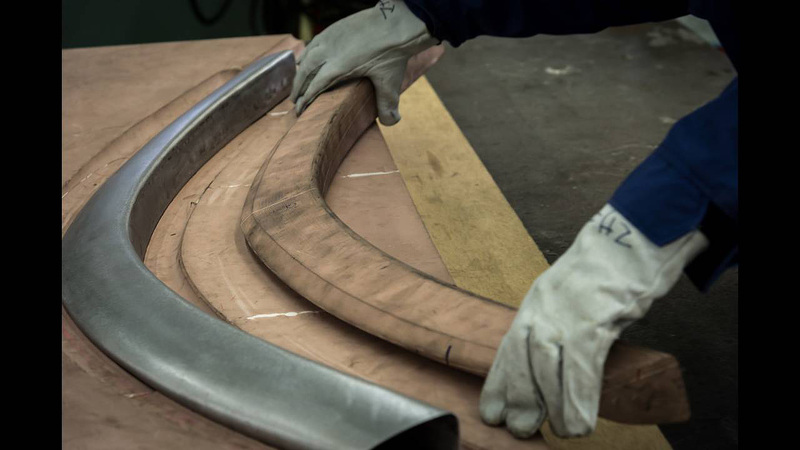 The designs of the brand’s contemporary road cars are characterized by deep-stamping production methods, which enable the creation of sharply defined lines and smooth body surfaces. Far from production lines, this out-of-hours project required similarly technical yet more traditional crafting methods. 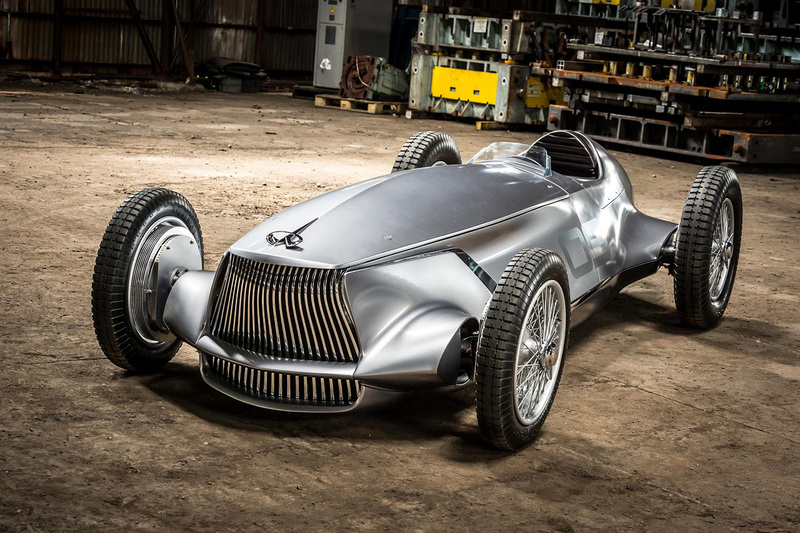 The vehicle’s stunning bodywork is made from steel body panels wrapped around a steel ladder frame. The panels were hammered into shape by the Takumi. 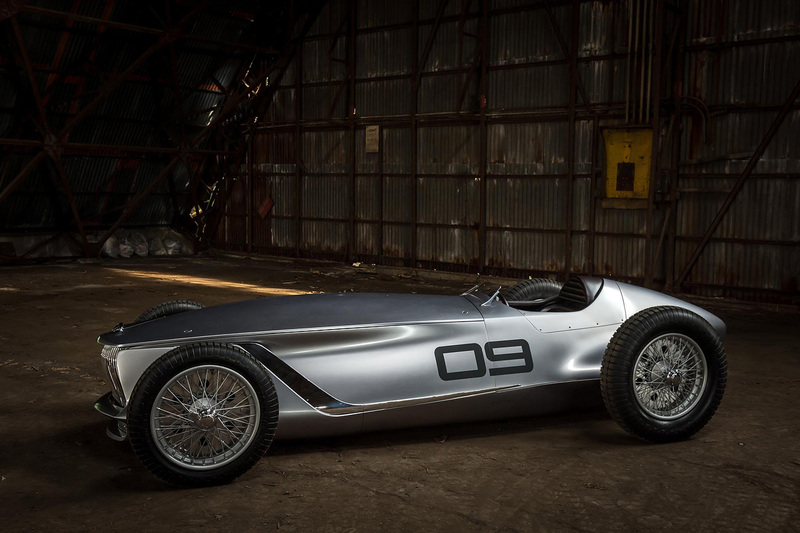 For Prototype 9, panel beaters incorporated INFINITI’s signature design elements, such as the double-arch grille, ‘shark gills’ aft of the front wheels, a single-crease hood, and sharp lines that stretch from front to rear. In every other respect, the car is unashamedly inspired by retro aeronautical designs. Prototype 9 is defined by its smooth, aerodynamic surfaces, long bonnet and short overhangs, an exposed cockpit, and open-wheeled layout. 19-inch center-locking wire-spoke wheels at each corner are even wrapped in period cross-ply competition tires. If you like this car and want to check more luxury vehicles – check out post about the most expensive cars in the world.